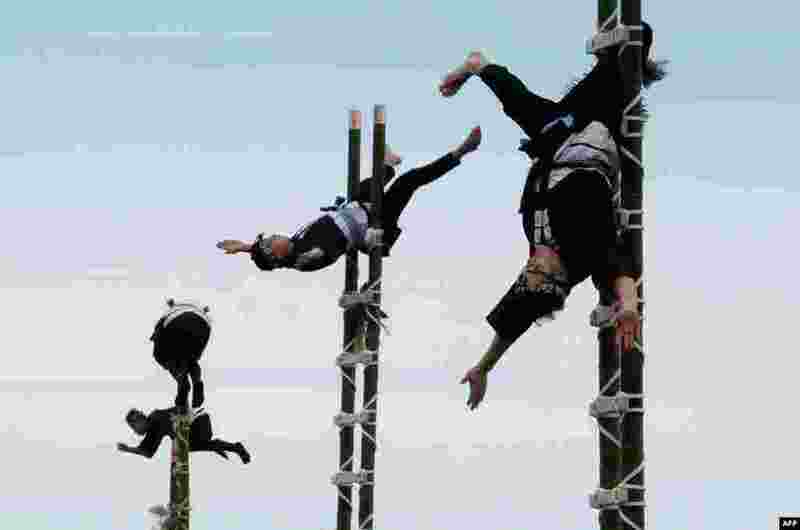 1 Members of the Edo Firemen Preservation Association perform Japanese traditional firefighting techniques during the New Year's fire brigades exercise in Tokyo. 2 Orthodox faithful dive into the icy winter water of a lake in Sofia, Bulgaria, to catch a wooden crucifix during the Epiphany Day celebrations. 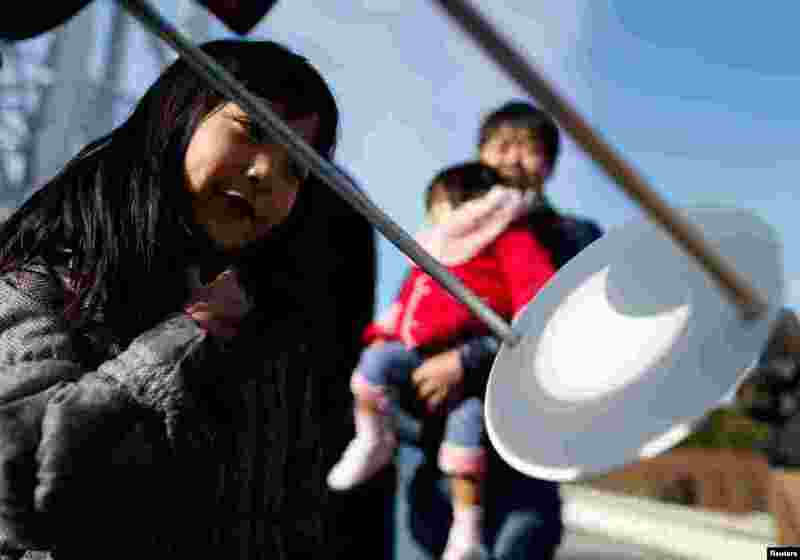 3 People observe a partial solar eclipse at Tokyo Skytree in Tokyo, Japan.